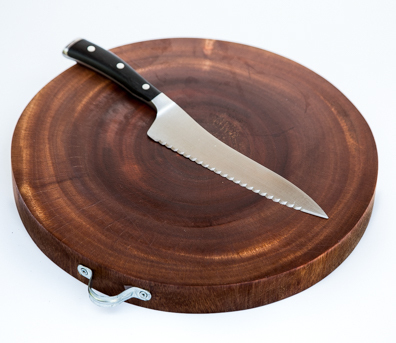 Lovingly cured at Hipcooks, this Tamarind wood cutting board is a solid round of wood, a once-in-a-lifetime purchase. Use it, abuse it, oil it once in a while & it will last forever, improving with age! Each board comes with care-for instructions. Approximately 13.25 inches in diameter.